Originally posted on April 11, 2019. WASHINGTON –Today the AAPI Victory Fund, in partnership with Asian Americans Rising, announced it will host a Democratic Presidential Forum on September 8th, 2019, in Orange County, California-the state with the largest Asian American and Pacific Islander (AAPI) population in the nation. To date, 18 candidates are seeking the 2020 Democratic Presidential nomination, including three Asian American and Pacific Islanders. The forum will showcase the candidates who are most interested in securing the AAPI vote in the Presidential primaries. California has largest and most diverse population in the nation with a strong track record of early voting. Nearly 60% of California Democratic voters cast a ballot by mail in the 2016 Presidential primary. For the 2020 election, California will be voting even earlier than in previous years, as its primaries have been shifted to “Super Tuesday” in March, in order to have a greater influence on the Presidential nomination process. 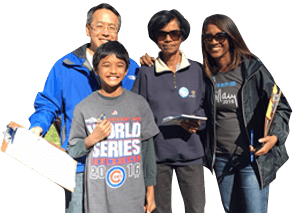 With approximately 1.6 million AAPIs in Los Angeles County alone, delegate-rich California will be receiving ballots on the same day that Iowans head to their first-in-the-nation presidential caucuses. California outpaced Iowa in delegates in 2016, 475 to 23. As the fastest growing racial group in the US, the AAPI electorate will have an even more formidable effect in the 2020 elections than it has in the past. Roughly one in four Congressional Districts have more than 5% AAPI voters, and AAPIs have become the swing vote in multiple districts and states. Results from the 2018 mid-term elections show that AAPIs contributed significantly to the Democratic margins of victory. The first-ever AAPI Democratic Presidential Forum, and the Day of Action that will precede it, will highlight AAPI issues as well as our goal of increasing the number of new AAPI voters by 1 million in 2020. To RSVP, and for additional information about the AAPI Democratic Presidential Forum visit www.AAPIConstellation.com.